The Municipal Progress Report on Climate and Sustainability provides a summary of the City’s municipal emissions with a breakdown by department. It also presents an overview of the actions City departments are taking around zero waste, sustainable trips, green building, biodiversity and urban forestry, and green purchasing. (report coming soon). The 2016 Geographic Greenhouse Gas Emissions Inventory provides insight on San Francisco's greenhouse gas (GHG) levels from 1990-2016. In 2016, San Francisco successfully reduced emissions 30% below 1990 levels from 6.2 million to 5.6 million mtCO2e. Emission reductions were achieved even though San Francisco’s population increased 20% during the same time period. Reaching 80-50: Technology Pathways to a Sustainable Future (2016) reviews technology pathways for achieving San Francisco’s climate action targets (reducing CO2eq emissions 80% by 2050 against a 1990 baseline) within the context of the local 0-50-100-Roots framework, as well as the State of California’s policy leadership. The San Francisco Municipal Decarbonization Report describes a first stage assessment to identify the potential costs, benefits, and feasibility of transitioning San Francisco’s municipal building stock to low emission space and water heating systems (collectively “building heating”). Climate and Health: Understanding the Risk: An Assessment of San Francisco's Vulnerability to Flooding and Extreme Storms (2016) is an assessment designed to prepare the San Francisco Department of Public Health and the City for both the direct and indirect health impacts of flood inundation. The Sea Level Rise Action Plan (2016) is a call to action for City departments and stakeholders to work together to make San Francisco a more resilient city in the face of rising sea levels. The Plan, led by San Francisco Planning and San Francisco Public Works, defines an overarching vision and set of objectives for future sea level rise and coastal flooding planning and mitigation in San Francisco. As water supplies become more vulnerable due to drought and the effects of climate change, it is critical that we diversify our water supplies to add more local sources into our water portfolio. Urban Water Management Plan (2015) presents the latest information on the San Francisco Public Utility Commission's service areas, Hetch Hetchy Regional Water System and other water systems operated by the SFPUC, system supplies and demands, water supply reliability, Water Conservation Act of 2009 compliance, water shortage contingency planning, and demand management. San Francisco Climate and Health Profile links climate change projections with their associated health outcomes, and identifies populations and locations most vulnerable to these health outcomes. The goal of the Climate and Health Profile is to support local public health climate adaptation efforts, and advance urban health and environmental justice in the climate and health field. This Climate and Health Adaptation Framework is a compendium of the Climate and Health Program’s work over the last several years, and represents a starting point to engage San Francisco’s diverse City and community stakeholders on designing solutions that reduce health disparities and climate health impacts. The Climate and Health Adaptation Framework does not represent a final plan, but rather a tool to begin conversations about how best to adapt to the health impacts of climate change. San Francisco Department of Public Health, 2017. Guidance for Incorporating Sea Level Rise into Capital Planning in San Francisco: Assessing Vulnerability and Risk to Support Adaptation presents a framework for considering sea level rise within the capital planning process for the City and County of San Francisco (CCSF). Prepared by the City and County of San Francisco Sea Level Rise Committee for the San Francisco Capital Planning Committee, Adopted by the Capital Planning Committee September 22, 2014. San Francisco Climate Action Strategy 2013 Update outlines the city's progress in reducing greenhouse gas emissions, and how we as a community can continue to move towards our climate goals. In addition to the 2013 Update, the city has a companion website with the City's formula for reaching its climate goals. 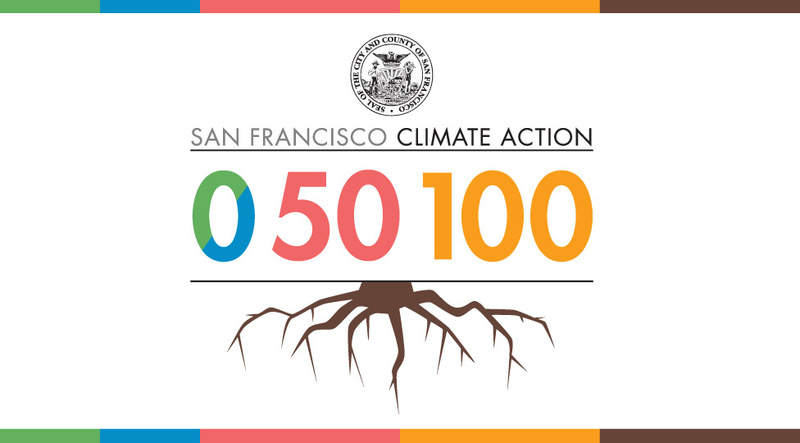 San Francisco Climate Action: 0 50 100 provides an overview of policies and programs to reach zero waste, 50% sustainable transportation, and 100% renewable energy. San Francisco Department of the Environment, 2013 and 2015. San Francisco Environment Code Greenhouse Gas Emissions Limit (Section 902) defines targets for greenhouse gas emissions for the years 2008, 2017, 2025, and 2050. The City's greenhouse gas reduction goals use 1990 levels as a baseline. Anticipated impacts are taken from the Climate Change Impacts, Vulnerabilities, and Adaptation in the San Francisco Bay Area: A Synthesis of PIER Program Reports and Other Relevant Research. California Energy Commission Public Interest Energy Research report. Ekstrom, Julia A., and Susanne C. Moser, 2012. The report synthesizes San Francisco Bay Area-focused findings from research conducted in 2010–2012 as part of the state’s Vulnerability and Adaptation study sponsored by the California Energy Commission’s Public Interest Energy Research (PIER) Program. The Carbon We Consume booklet was produced by the San Francisco Department of Environment on behalf of Green Cities California's consumption campaign. Taking data from the California Consumption Based Emissions Inventory, it illustrates the reality of our large carbon footprint from the goods and services we consume. 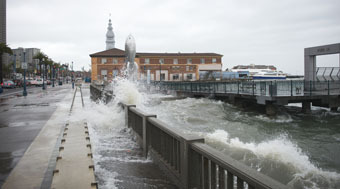 A sea level rise report conducted by the Port of San Francisco was used as reference to damage to Port properties. Prepared for the Port of San Francisco by URS, 2011. Available upon request to the Port of San Francisco. View California's Climate Change Legislation. The United Nations Framework Convention on Climate Change was the first large scale effort at addressing climate change. It gave birth to the Kyoto Protocol which set greenhouse gas emission reduction goals. This Climate Action Strategy goal of 100% renewable energy by 2030 is taken from the Electricity Reources Plan, and the Mayor's 100% renewable energy goal. The plan reinforces the Board of Supervisors goal of delivering 100% carbon free electricity to all San Franciscans. The San Francisco 2011 Updated Electricity Resources Plan. San Francisco Public Utilities Commission. Energy efficiency strategies and pathways to achieving 100% renewable energy within the next 10 years are taken from the Mayor's Renewable Energy Task Force Recommendations Report. 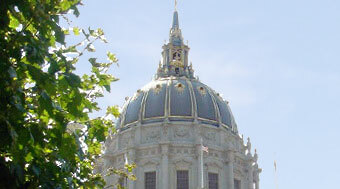 San Francisco Mayor’s Renewable Energy Task Force Recommendations Report. San Francisco Department of the Environment, 2012. With sponsorship from the Sidney E. Frank Foundation. Estimates for efficiency gains in commercial building of buildings 50% by 2030, or an average net reduction of 2.5% per year were taken from the Mayors Taskforce Report on Existing Buildings. San Francisco Mayors Taskforce on Existing Commercial Buildings. San Francisco Department of the Environment, 2009. Green building codes and recommendations on now implemented LEED standards for new buildings are taken from the Mayors Taskforce Report on Green Building. The Mayors Taskforce on Green Building for the City and County of San Francisco Report and Recommendations. San Francisco Department of the Environment. 2007. The California Long Term Energy Efficiency Plan was used for reference to Net Zero Energy Building goals for new (and some existing) residential buildings by 2020 and commercial buildings by 2030. California Long Term Energy Efficiency Strategic Plan (CEESP). 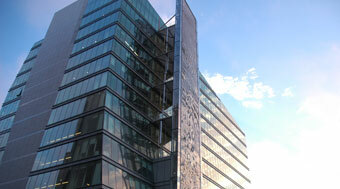 California Public Utilities Commission. This report is an early step in studying the potentially significant global warming effect of natural gas leakage in San Francisco. Natural Gas Leakage in San Francisco: A Climate Perspective. San Francisco Department of the Environment, 2013. The Vision Zero SF Two-Year Action Strategy outlines the projects and policy changes the City plans to pursue in the next two years to build safety and livability into city streets. The Action Strategy encompasses a range of solutions to address street safety comprehensively and citywide that will bring us closer to achieving the Vision Zero goal of zero deaths on City streets by 2024. The San Francisco Municipal Transportation Agency (SFMTA) Climate Action Strategy (CAS) was published in 2011. All VMT reduction goals and GHG calculations for all demand management, congestion pricing Muni strategies were developed in concert with and taken from the SFMTA Sustainable Streets Division with support from the San Francisco County Transportation Authority. Better Streets Plan, published in 2010, includes goals surrounding making streets safer and more beautiful for pedestrians. The Transportation Sustainability Program (TSP) seeks to improve and expand upon San Francisco’s transportation system to help accommodate new growth. Smart planning and investment will help us arrive safer and more comfortably at our destinations now and in the future. Goals on bicycle infrastructure, safety and accessibility are taken from the San Francisco Bike Plan, a subset to the SFMTA’s Transit First policy as well as the City’s 2004 Climate Action Plan. 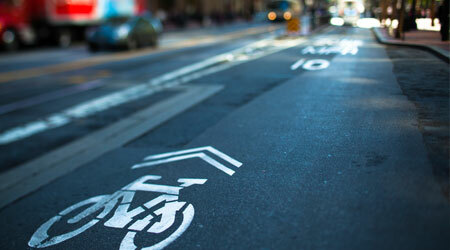 San Francisco Bike Plan was published in 2012 by the San Francisco Municipal Transportation Agency. 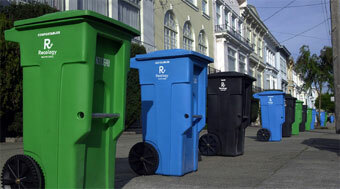 The 2006 Waste Characterization Study identifies the major constituents in the municipal waste stream. This data coupled with information compiled by Recology and the Department of the Environment's Zero Waste Team informed the 2010 community-wide greenhouse gas emission inventory. San Francisco, with Green Cities California, published one of the first consumption-based greenhouse gas inventories in the nation. Unlike the traditional GHG emissions inventory which only accounts for carbon emissions associated with energy use in buildings and fuel burned in local vehicles, the Consumption-Based Emissions Inventory for San Francisco looks at carbon impacts of the full lifecycle of goods and services. Recommendations on future actions to care for and increase the size of San Francisco’s Urban Forest are taken from the San Francisco Urban Forest Council Annual Reports. San Francisco Urban Forest 2015 Annual Report. Department of Environment. San Francisco Urban Forest: Assessing Urban Forest Effects and Values (2007) is an analysis of the urban forest and its carbon sequestration values are taken from a USDA Forest Service Report and used the UFORE Urban Forest Effects Model. 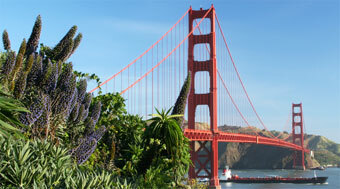 It assesses urban forest effects and values of San Francisco’s urban forest. The Blue Greenway Guidebook is a restoration and revegetation guide is based on the Blue Greenway Planning and Design Guidelines, developed by the Port of San Francisco (Port) in 2011.1 The focus of this guide is on the restoration and revegetation of contaminated and impacted lands along the Blue Greenway. San Francisco Department of the Environment's Annual Report outlines the department's accomplishments, including the city's success in reducing greenhouse gas emissions by 14.5% below 1990 levels (2014 Annual Report). Department Climate Action Plans include each agency's carbon footprint and highlights innovation in sustainable business practices along with other internal sustainability mandates such as zero waste, green purchasing, and alternative transportation. San Francisco was one of the first U.S. cities to ask individual city departments to produce climate action plans. In 2008, the Board of Supervisors approved an ordinance requiring each department to produce and update a Climate Action plan annually.